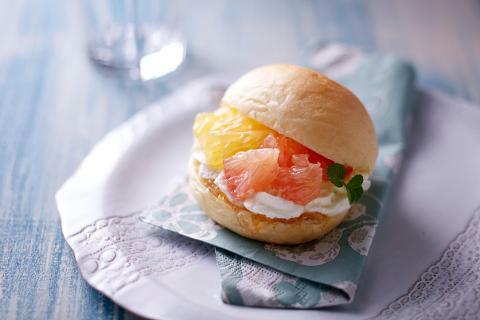 Use a cream bun made from soft dough and filled with cream to make a sweet burger. You can choose all the fruits that you want. You can make your own original sweet burger. When people come to the shop, first a short explanation will be given. After the explanation we have prepared buns for you, so first you need to make a cut into the bun and insert cream inside. 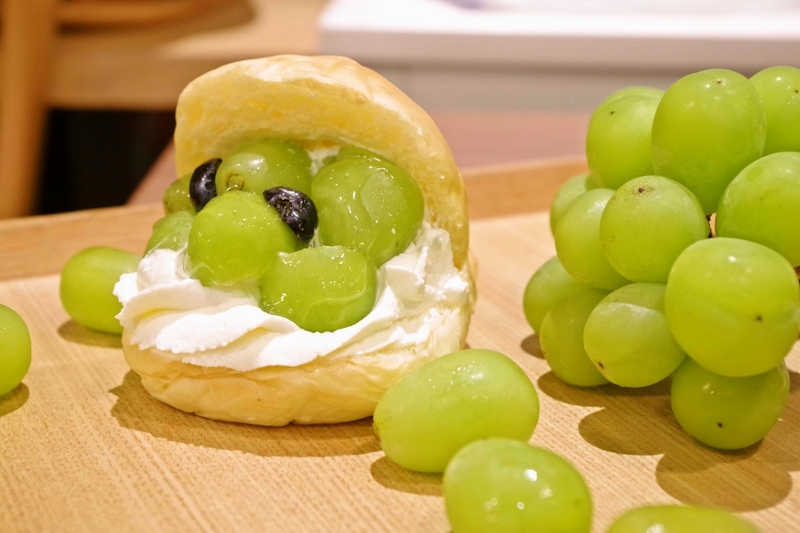 And not only cream, you can also insert fruits. You can choose strawberries, oranges, kiwi etc. in the season. Please insert them freely. After that you can wrap the sweet burger and take it home as a souvenir. You can also eat it right at the spot After taking pictures, please enjoy eating the bun! 1. Exit from the airport passenger terminal and go straight on the pedestrian bridge. When you go down to the ground, turn to the left with the airport behind you. Turn right along with the parking lot. 2．When you walk for 1 minute, you will see the traffic lights. 3．Cross the traffic lights and go straight while seeing the parking lot on your right. 4．Enter the Hattendo factory from the entrance on the right and go straight ahead. Cafelie is at the top of the stairson the left. Clothing：Free　You can experience it in your own clothes as you won't get dirty. ※If you worry, we will rent out a vinyl apron. Hattendo was founded in Hiroshima as a Japanese sweet shop in 1933. When the daily lives of the people become difficult because of the influence of the great depression the founder said "I want to cheer people through sweet and delicious Japanese confectionery." After World War II, along with the development of Japan, the ingredients of Western confectionery and bread were also incoperated in the conectionary of Hattendo and over the years the technical ability was cultivated. Aggregating that technology,the main product 「Hattendo Cream Bun」 was born in 2008. At the factory in Mihara City, while keeping the process handmade, over 40,000 cream buns are produced and delivered nationwide. It is a park of around 6 hectares on an artifical hill with a path around a pond. Hiroshima prefecture has numerous valleys with rich forests and scenic spots of coastal area gardens, This Sankeien garden has, because of Japanese garden methods, numerous valleys with rich forests (what Hiroshima has a lot) and scenic spots of coastal area gardens. Highlight are 「Oumi」 where 450 colored carps are swimming and where the reflection of the water looks like a mirror in the autumn season and the three tiered waterfall that gives a rich expression every season and makes the sound of calm water. For each season, please enjoy the plum garden, the iris field, the hydrangea garden, momiji valley and each kind of flower. ※Right after the online settlement is made, a cancellation fee of 10% will be incurred in case of cancellation. ※The cancellation fee includes handling charges.